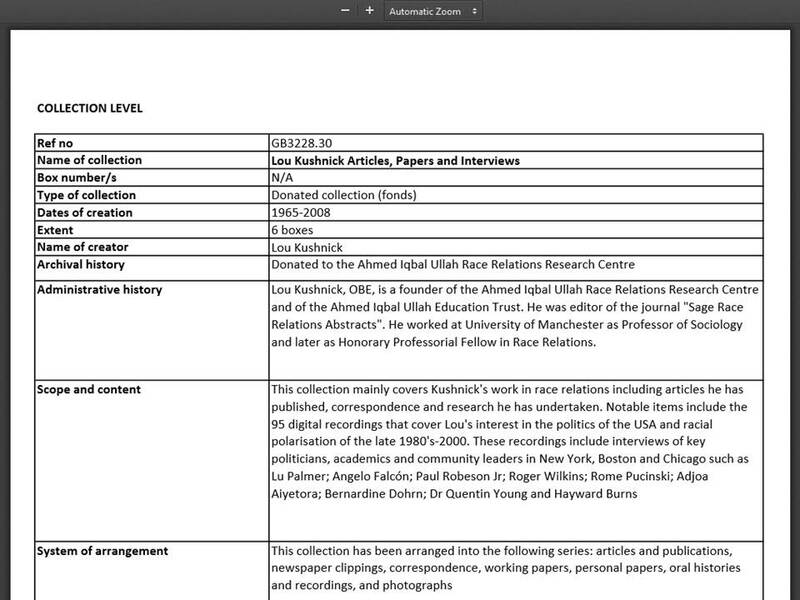 Last time we discussed the importance of the Ahmed Iqbal Ullah Race Relations Resource Centre (AIU Centre) and its collections, touching on some of the realities of archives and archival research, and looking at the kinds of questions we need to ask ourselves before engaging with an archive collection. This time we’ll be moving on to begin checking out the ways relevant Centre resources can be identified and accessed. Which one you start with is very much up to you and your preferred style. This time I’ll be introducing the different database options at your disposal. I’ll be looking at the ‘Human Interface’ and serendipity in future posts. Currently the Centre doesn’t have one dedicated searchable database for you to consult devoted to bringing together all the items in its own book and archive collections. Centre collections feature on a number of databases, each geared to its own purposes, placing the Centre’s offerings in amongst those of a variety of other institutions. It’s not always easy to identify the material in the Centre relevant to your interests. Therefore this blog post gives you information and hints that should smooth your way into finding what you need. As noted above, the Centre doesn’t have one dedicated searchable database for you to consult which brings together all the items in its own book and archive collections. However, as a first stop I’d suggest taking a look at the subject area pages on the Centre’s website – particularly if you’re not used to using archives. On the Subject areas page of the Centre’s website you’ll find links to sample resource lists for a wide selection of subject areas. These resource lists can provide an ideal starting point for getting a feel for what the Centre offers to what you want to study, if your area of interest is represented there. Each list includes a mix of relevant resources, including archive collections, periodicals, oral histories, books, pamphlets and more – comprising secondary and primary sources which give insight into the particular topic through the lens of race. Going into the Centre to refer to some of these items might provide enough for some projects, whilst for others it would be a starting point to look for further material. If checking out your chosen subject area resource list yields enough material, fine. You’re on your way. But what if you need a wider selection? Or your area of interest is not covered? Then you need to dip a toe into one or other of the databases. The Centre’s holdings divide roughly into two types: books (available on the library shelves, or in certain cases on request) and archive collections (available to view on request). To me, the best place to start looking into the Centre’s book holdings is the Manchester Libraries catalogue, whilst to get an overview of the archive collections the best port of call is the Collection pages of the Resource Centre website. This should produce a listing of the Centre’s book holdings relevant to the subject you’re interested in. As well as the subject area resource lists mentioned above, the website makes available PDF versions of the Centre’s archive catalogues. This means it’s the best place to look for detailed archive information. Rather than being a database as such, this information comprises a series of spreadsheets, one for each collection, giving a description of the collection itself, any subdivisions, and individual documents. In addition, the website provides descriptions of the Centre’s unique oral histories – a particularly rich collection of primary sources comprising memories and narratives of what we might term ‘ordinary people’. Identifying what’s relevant to your chosen subject area isn’t as easy for the archives as it is for books. Searching will take time and patience, but at the end results should make the effort worthwhile. Check out the ‘Archive collections’ page of the Centre website to get a feel for what’s available. There you’ll find the names of the collections, plus active links to the relevant collection catalogue PDFs. In some cases, there are also links to other explanatory materials, such as blog posts. If a blog post about the collection is available, read it. This, combined with the short collection description in the collection catalogue PDF, gives you insight into what the particular collection is about and what you might find in there. This can help you decide whether to investigate the collection further. Unfortunately, not every collection has an accompanying blog post yet. Work is ongoing to produce more. If a collection looks promising, open the collection catalogue PDF. This gives a brief description of the content of the collection as well as how it came to be in the archive. There is also information about how the collection has been arranged. If you still feel enthusiastic to investigate further, you can move on to the document listing pages. Here individual items within the collection are described (giving reference numbers). They are normally organised into types of document (e.g. reports, correspondence, newsletters, minutes of meetings, photographs/images). One thing to bear in mind with the PDFs is that there are two ways of opening them – either in the web browser or downloaded as a PDF document. In both cases you should be able to use a zoom function, which enables you to read the at times very small text. If you download the PDF, your PDF reader should have a search function, which means you can search the document for specific words – this is not the case if you open the PDF in a browser. Now you’ve built up a picture of what’s in the collections that interests you, as well as which documents you want to look at, it’s time to go into the Centre to consult them. You might find it useful to discuss your list or any questions you have with a member of staff (otherwise known as a ‘Human Interface’ – see the next post in this series for tips on this), or you can go straight ahead to take a look at the material you want to see. What happens next depends on whether you’re thinking about books or archive collections. 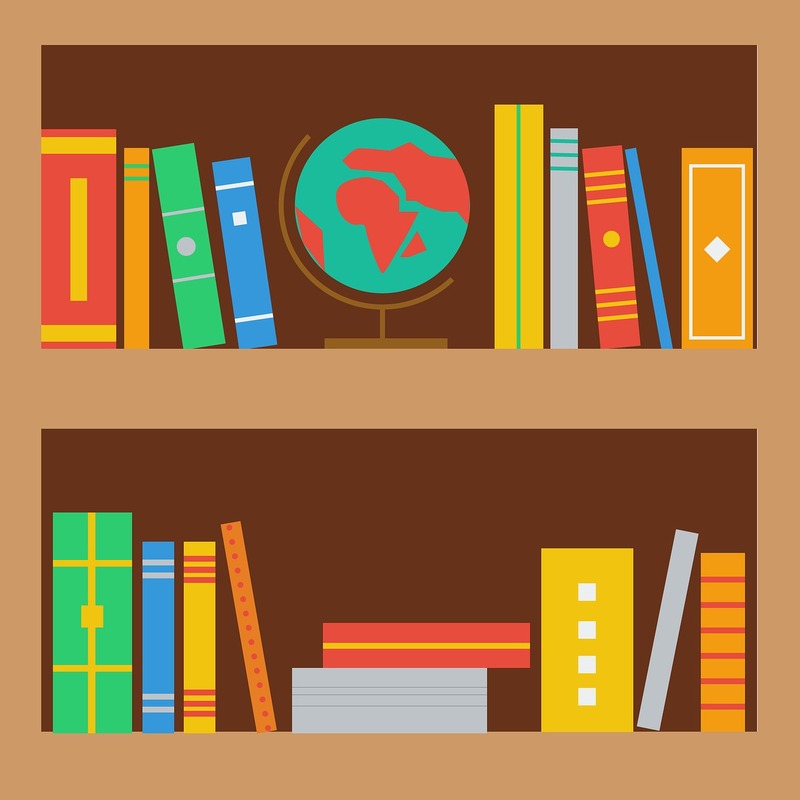 To borrow loanable items, you need to be a member of Manchester Libraries and to take out books through the Manchester Libraries system (this includes University of Manchester staff and students). Information about borrowing and gaining access to the book collection is available on the Access page of the Centre website. The archive collections are available to be consulted by arrangement in the Central Library’s Archive Search Room only. You need to give one working day’s notice for items to be retrieved from the archive for your use. Information on access to the archives is available on the Access page of the Centre website. As noted above, the Centre’s collections feature on a number of databases, each geared to its own purposes, placing the Centre’s offerings in amongst those of a variety of other institutions. If you’re interested in gaining a list of materials which includes resources from other institutions as well as the Centre, this means your task is made much easier. You can also benefit from using certain specially-prepared research aids which provide additional insight by linking Centre materials to specific related collections. University of Manchester Catalogue This is one for the University of Manchester staff and students. The Centre’s catalogue information is uploaded to this database twice a year, presenting a skeleton entry for all Centre books and collections. The Centre’s collection is contextualised here as an academic resource, with its holdings placed alongside those of the University of Manchester Library (one of the foremost academic libraries in the world). One drawback is that it isn’t possible to single out the Centre’s collection for perusal. GM Lives This is the Greater Manchester local studies archive database, which includes a few of the Centre’s archive collections. This database is currently being upgraded to make it more intuitive, and a major drawback is that, at the time of writing, it only contains a handful of the Centre’s collections. Work is ongoing during 2018, and hopefully it will soon be useful for identifying material from the Centre’s archives, alongside a wealth of other Greater Manchester archive collections. Archives Hub A national research database bringing together descriptions of thousands of the UK’s archive collections, placing the Centre within the context of nearly 300 institutions across the country. There is a profile page introducing the Centre and its collections, but the listing is not currently complete. 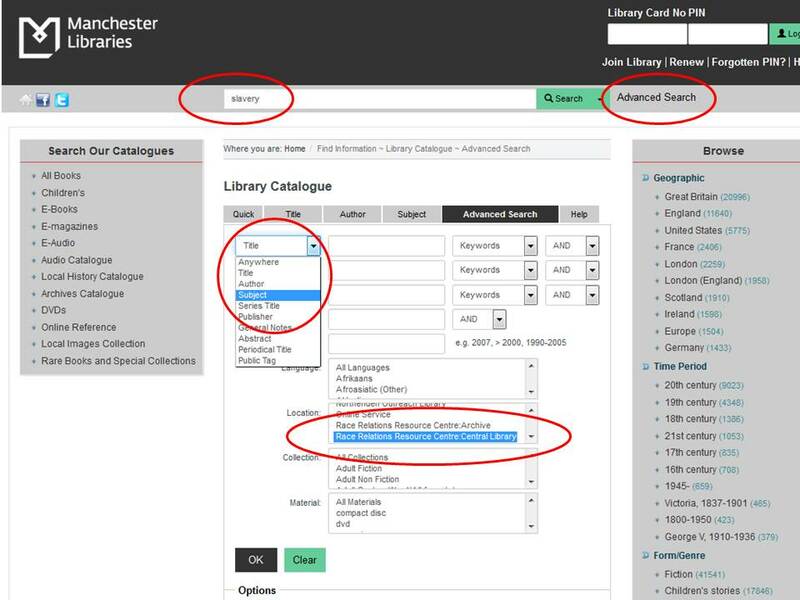 Bear in mind that the Manchester Libraries Catalogue (mentioned in Section 2) can also reveal archive and library resources within the collections of Manchester Central Library (where the AIU Centre is physically based) and the Greater Manchester area generally. These complement those of the Centre. Recognising this, the Centre has compiled useful guides of reference books and lending books held in Manchester Central Library which can be used to supplement the Centre’s own specialist collections. And there are a number of related archive, library and museum collections in the UK (and beyond) that you might like to explore. Take a look at the Links page on the Centre website for a list of these. This entry was posted in Research skills, Ways into the collection and tagged archives, catalogue, databases, research, Research skills by aiucentre. Bookmark the permalink.